That's quite a BIG name for a 1 1/2 by 1 1/2 inch square of deliciousness . We found this box of coconut patties in the fresh fruit section of our local market . Since the nice weather has finally arrived so has all thoughts of things tropical . 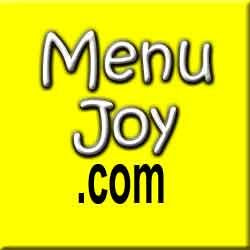 Pina coladas , little umbrellas , shaved ice and anything fruity - tasting . 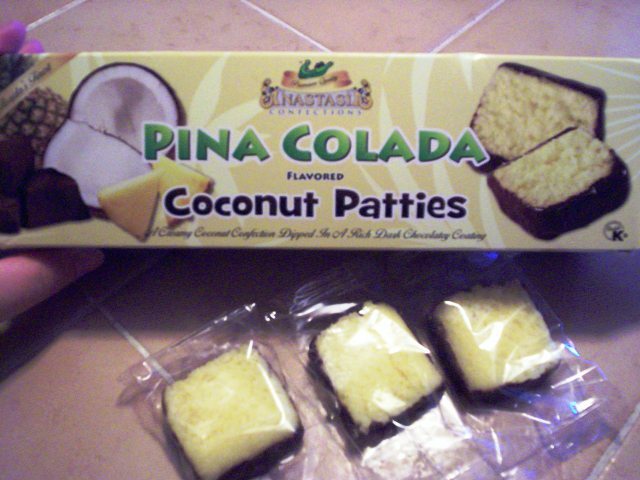 So these little cake-like patties with all their tropical flavors seemed to fit the bill . They come 9 to a box and cost $ 3.99 . The box boasts that they're FLORIDA'S FINEST . Let's see. VERDICT : YUM ! I think they taste like a cross between a very moist coconut macaroon and a mounds bar . The only reason I say mounds bar is because they have a thin layer of chocolate around the sides and bottom . However , I really don't taste any chocolate . The overwhelming flavor is coconut , which is fine with me . This little " biscuit-like " cookie is filling and satisfying enough for you to be content eating just one . And that's a good thing because they have 150 calories each , 50 of those from fat . So you see it's quite the treat . Besides the pina colada flavor we purchased , they also come in original coconut , almond , orange , key lime and mango . I can't wait to try another flavor . PS - While I think these are more like cookies/biscuits, Laura thinks they taste more like a candy. We thought we would settle this "argument" by checking out what the company calls them. Well, they call them "confections". Oh well. Pick up a box and decide for yourselves!